Three years ago, I was young. Three years ago, I was care free. Three years ago, I am pretty sure I had a lamp and an alarm clock on my nightstand. My nightstand most certainly did not house an iPhone, a baby monitor, a Kindle, a glass of water, a parenting book, a tube of Burt's Bees chapstick, a pacifier, a Sophie teething giraffe, a stack of four different magazines that I've only read two pages of and a pile of assorted breast pump parts. But now? Oh yes. That's currently what's on my night stand. Needless to say, David and I have outgrown the adorable blue nightstands we created three years ago. They are teeny tiny. We need more bedside counter space! So, lately, I've been eyeing a few potential suitors. If I can find the right pair, I'd really like to do a mismatched set. Maybe a more manly, industrial piece for David and a circular, curvy painted piece for me? Or maybe I'll just go with two matching pieces with a fun punch of color? Hm. The possibilities are endless. 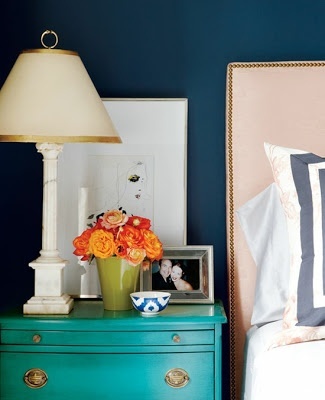 Here are a few nightstands that I'm loving right now. 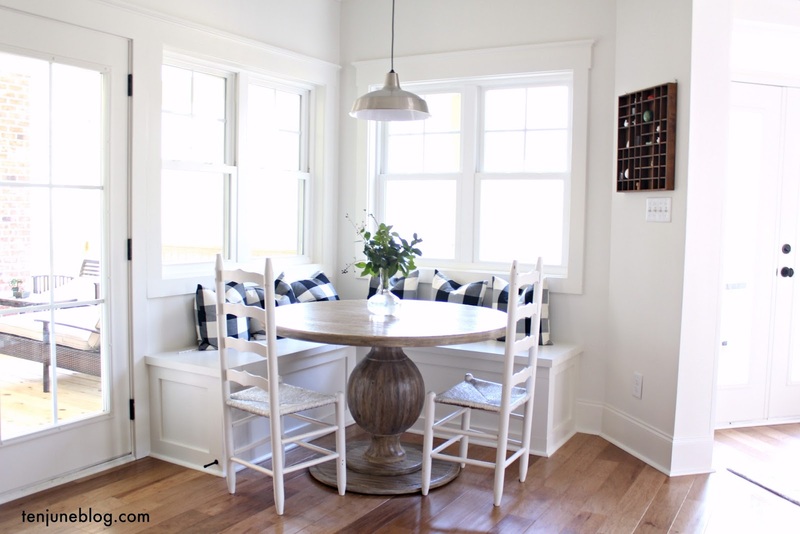 Have you seen any totally awesome, quality, inexpensive, large (wow, I'm picky!) 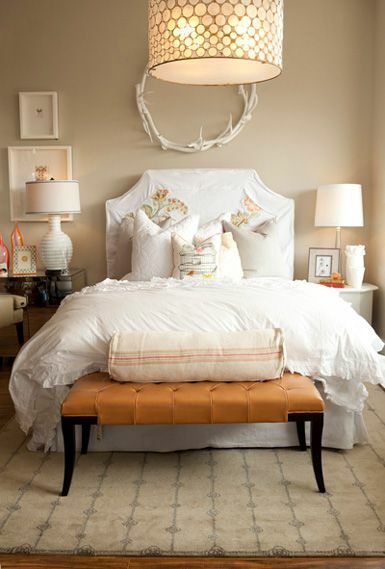 nightstands around lately? Hook me up with some counter space, please! i've even seen somebody do something similar to your 5th picture down. i have been thinking about getting one for my side of the bed because i always have more things around than my husband does! I love small dressers turned into night stands! Looks like you need to take a trip to goodwill!! What about world market? i need new nightstands too! i just bought the rast from ikea that i plan to do an ikea hack on. hopefully it goes well! I'm pretty sure the thrift stores are your best bet, but you could rock an Ikea dresser, too -- they have endless possibilities! 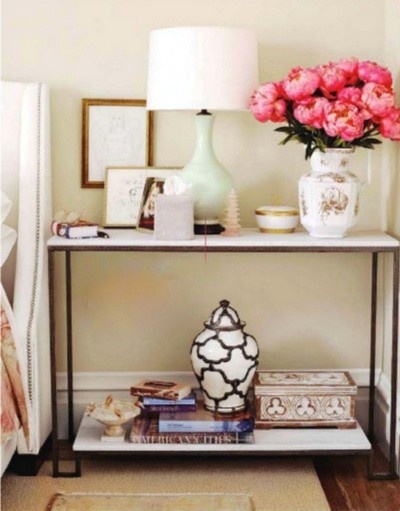 I love a nightstand with a drawer and a shelf. Plenty of room, but you hide away junk at the same time. Good luck with your hunt! It's so hard to find a good nightstand! I'm looking for a new one as well for the exact same reasons. I'm actually looking to do a small dresser type, hopefully in a bright color. Sort of like the teal one above. And I'm hoping I can do that and do something smaller and simple for my husband. 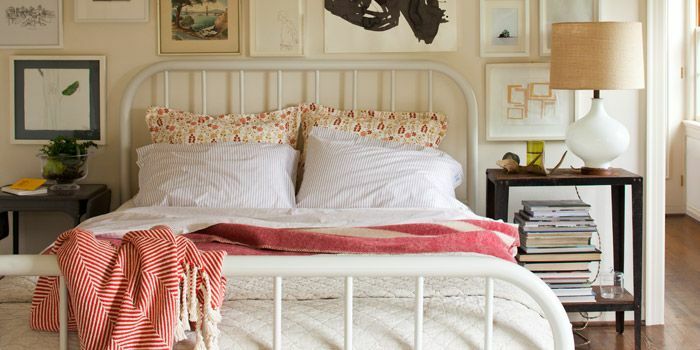 Mismatched nightstands can be chic, right? :-) And I cannot imagine not having a drawer - my Wesley is literally into EVERYTHING and I wish I could put everything in drawers! Good luck!